Succession planning is vital to the continuation of any business. And when there are multiple owners—partners, members, shareholders—no single document is more important than a comprehensive, up-to-date buy-sell agreement. Failure to have such an agreement adds confusion and stress at the time one of the owners passes away or becomes disabled. An incomplete or out-of-date agreement is bad too and will likely lead to unintended consequences. The first step is to decide what type of buy-sell agreement best suits the ownership structure. There are two basic types: cross purchase and redemption. With cross purchase, the surviving owners buy out the deceased owner’s share. With a redemption agreement, the company purchases and retires the departing owner’s share. As a rule of thumb, if there are several owners, the redemption approach is easier to administer. Once the basic form is chosen, there are three additional issues to address: valuation, triggering event and funding. Since small businesses are not publicly traded, there is no readily available market price. Book value, multiple of earnings and professional appraisal are some of the possible options for determining value, but valuation is not a “once-and-done” situation. A formula that worked at one stage of the business may not continue to be relevant. A review every few years is vitally important. Above all, the valuation should be fair. No matter the relative age or health of the owners, no one can be sure who will pass first. Death of an owner is the most obvious triggering event but only one of many. Disability and retirement are obvious additional triggers, but what about divorce? A property settlement between the divorcing couple might result in an ex-spouse suddenly becoming a co-owner. An owner’s personal bankruptcy could be another event triggering the buy-sell agreement. What if the owners have a profound disagreement producing a deadlock and thereby paralyzing the company? These and other triggers should be carefully thought through. Even if the right mechanism is chosen, the method of valuation is fair and the trigger clear, where are the remaining owners going to find the funds to buy out the departing owner? Small businesses rarely have sufficient liquid resources to buy out the departing owner. Life insurance is one common funding source but may not be available if one or more owners are uninsurable, or because of age differences, premiums are too costly. Bank financing might be available if the company has a strong balance sheet and is profitable. It might be necessary to buy out the departed owner in installments over a period of five or more years. In the worst-case scenario, the remaining owners might have to sell the company. The desired options should be set out and prioritized in the buy-sell agreement. Buy-sells are essential but complicated arrangements. Owners need to involve their attorneys and accountants early in the process. Such agreements should not be rushed. With everyone in the room, all the issues should be discussed honestly and openly. 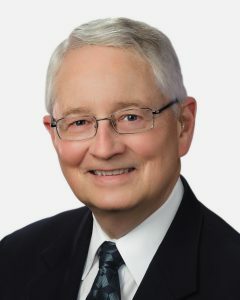 Calvin Bellamy, former CEO and chairman of Bank Calumet and Bank Calumet Inc., is a partner within Krieg DeVault's financial institutions, estate planning and business practice groups. The law firm has offices in Merrillville and Chicago.